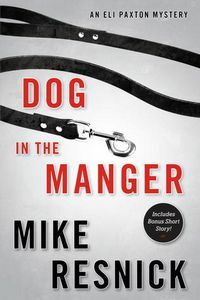 Dog in the Manger by Mike Resnick: Synopsis and Online Purchase Options. Synopsis (from the publisher): A dog is missing. Not just any dog. The number one Weimaraner in the country and current Westminster winner. Down-on-his-luck private eye Eli Paxton is hired to find him. Not exactly an elite assignment, but better than nothing. Maybe it will help him pay his rent. It turns out to be anything but a routine case. People start dying in mysterious ways, a cargo plane goes missing, and someone is taking shots at him. It makes no sense. Even a top show dog isn't worth that much. Where he finds the startling solution.